See and experience the local lifestyle just like a local folk. Let's visit a peaceful district of Bang Kra Jao. We will explore this local community together via bicycle. Let's go! Escape the busy Bangkok and all the pollutions by crossing Chao Phraya river. Within 10 minutes, you will reach Bang Kra Jao, the friendly neighborhood filled with trees and lovely people. Very much indeed. 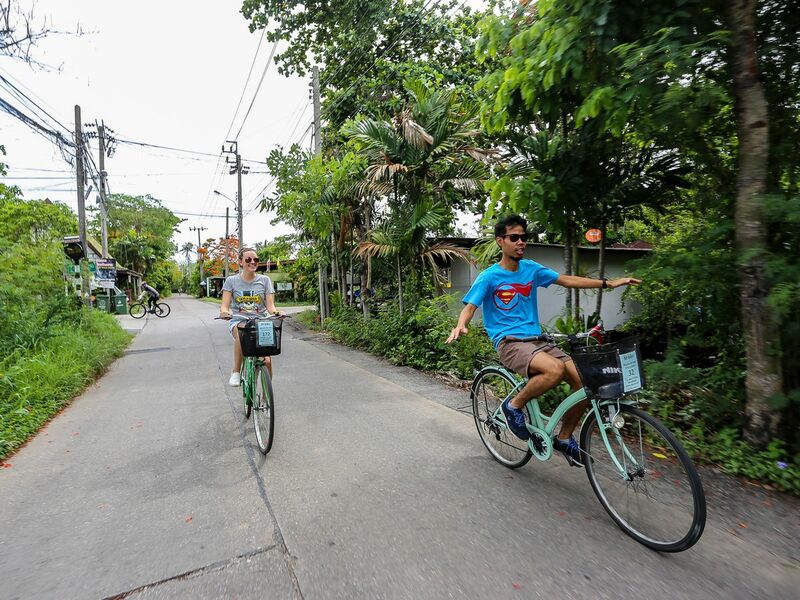 It's a part of our eco-tourism tour where you can cycle through greens and coconut tree alleys and get to explore local workshops like tie-dye clothing and aromatic joss stick making as well. Even though Bang Kra Jao has been called one of the cycling destinations nearby Bangkok, the area is less touristy and very peaceful. You'll love it here. Was so interesting going into another world in Bangkok city life. The tour was informative, fun, and I got to exercise at the same time!